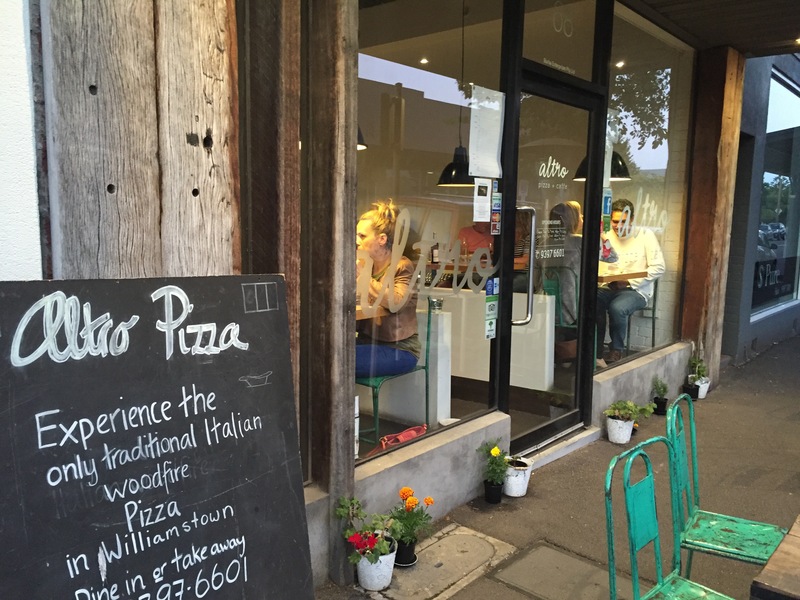 Altro is well known in the Williamstown area for having the best and most authentic Italian wood fired pizza. We made a booking for Friday night on a warm daylight savings evening. The restaurant is just up from the water and there’s a beautiful breeze in the outdoor area, especially in summer. They were very busy and orders were slow to come out but the waitstaff were friendly and did their best to be accommodating. 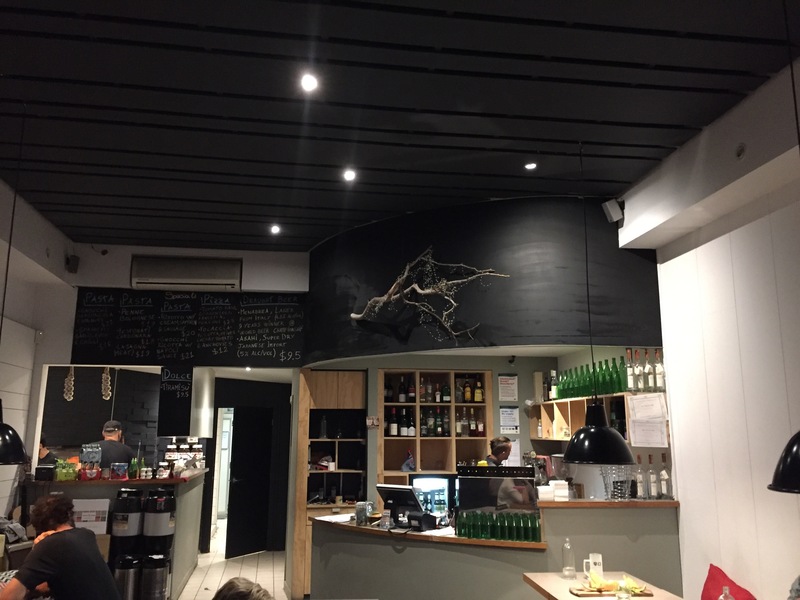 Even so some wines were unavailable and there were long delays for pizza orders. Eventually we received our starters, Arancini Balls and a Mozzarella and Tomato Salad. There were two flavours of the Arancini, vegetarian and meat. We loved how light and creamy they both were, but it was the cheesiness of the meaty option that really won us over. 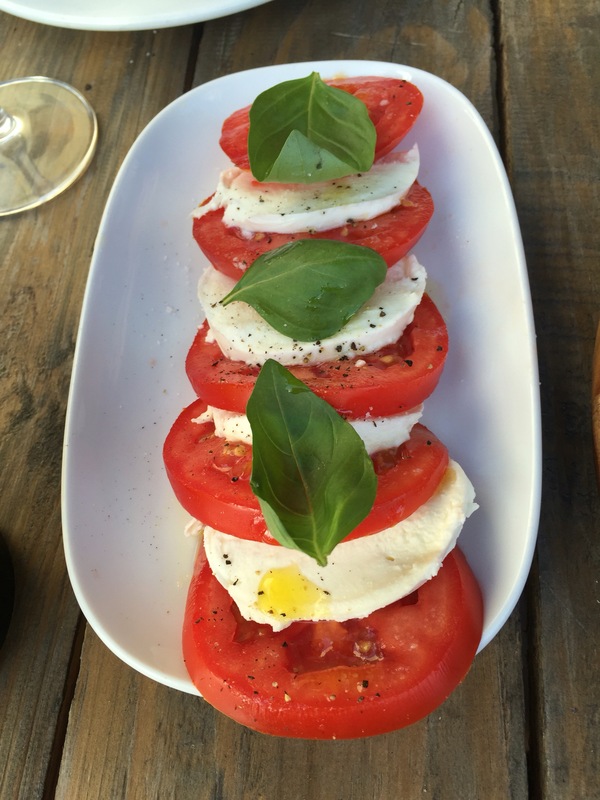 Aside from the fact that our salad didn’t have basil and mozzarella for each piece of tomato, it was a classic flavour combination which we always enjoy. The bite and freshness of the tomato is what makes this dish just work. 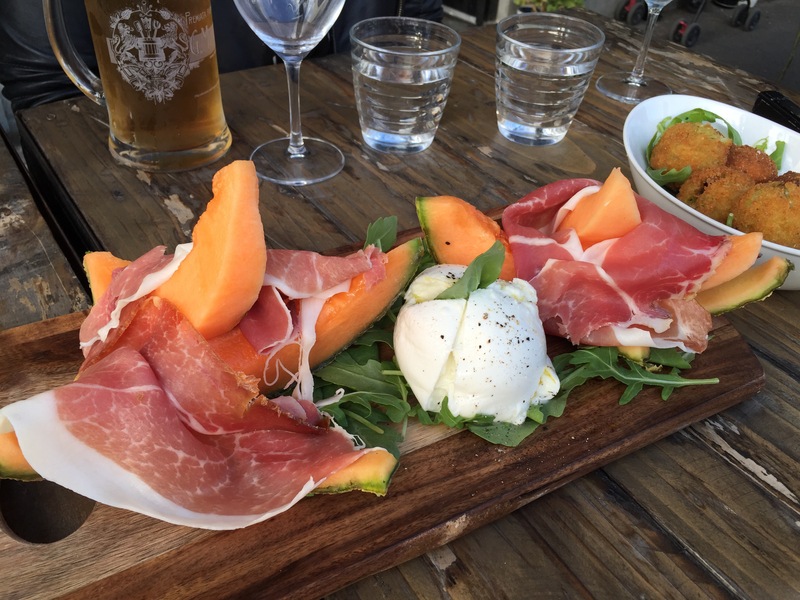 Our other choice was the Jamon Serrano and Rockmelon. It was a very well presented dish which also made it difficult to eat. The Jamon was exquisitely flavoured and an excellent way to start off our meal. 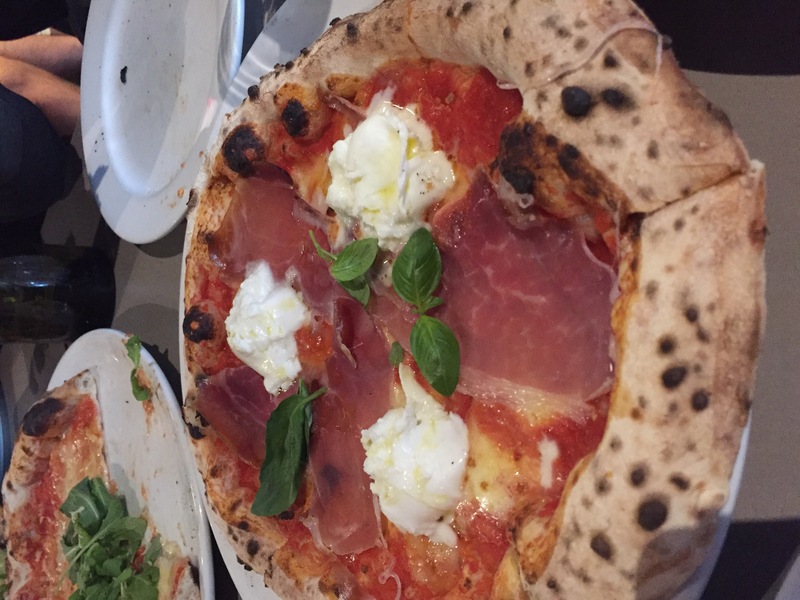 Our pizzas unfortunately took a very long time to arrive, the staff were apologetic about the delay and we’d enjoyed our starters so much that we weren’t overly concerned about the wait. Fortunately our pizzas were absolutely delicious when they eventually arrived. On a perfectly thin and crispy base with a bit of char and minimal toppings, the quality ingredients really spoke for themselves. We loved the light and subtle creaminess of the buffalo mozzarella and the bit of tang from the tomato. 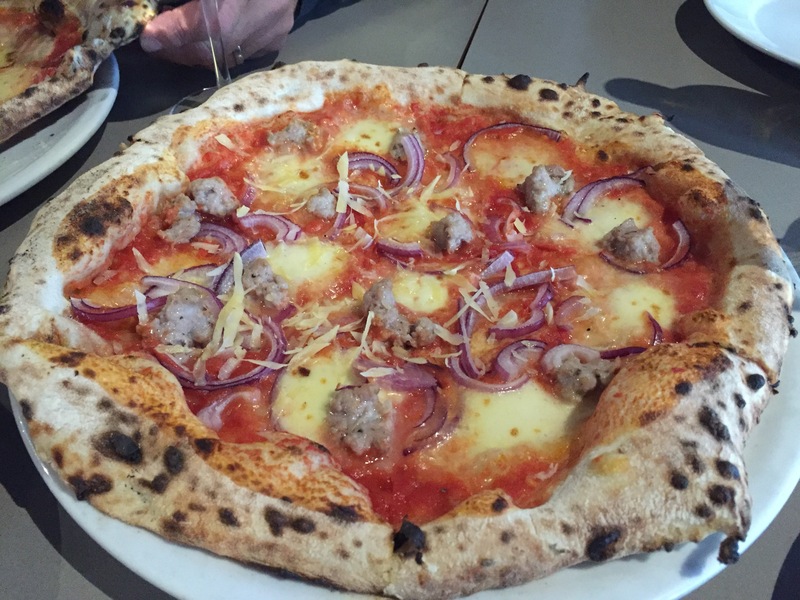 Our favourite was the classic San Danielle, but the sausage on the Rustica also caught our attention. 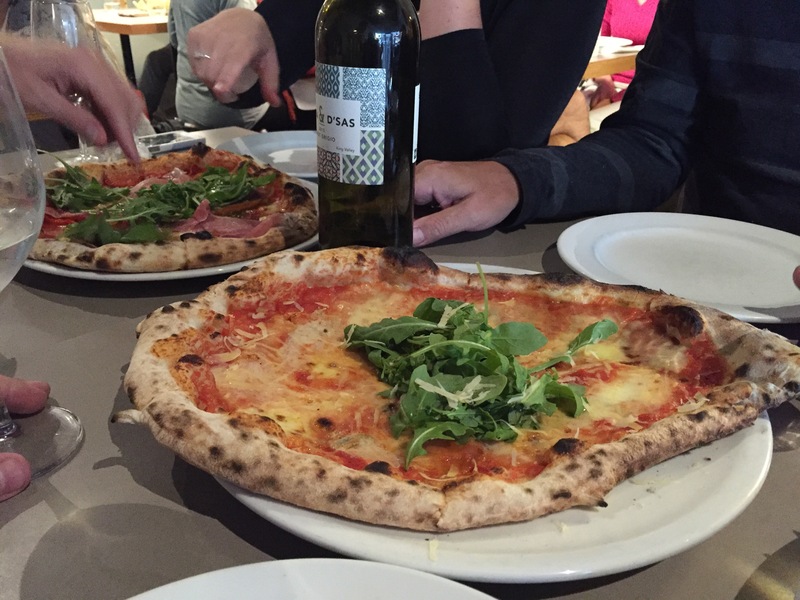 With such delicious pizzas and starters it’s not hard to see why Altro are so well loved by Williamstown locals.